I wanted my soup to be a totally clean and delicious side dish. So all I used was veggies, spices, and water. It couldn’t be more simple. Non of those yucky extras that are added to your traditional store-bought or restaurant made condensed of boxed soups. Why add flour, soy, cream, or starches, when all you really need is the veggies? 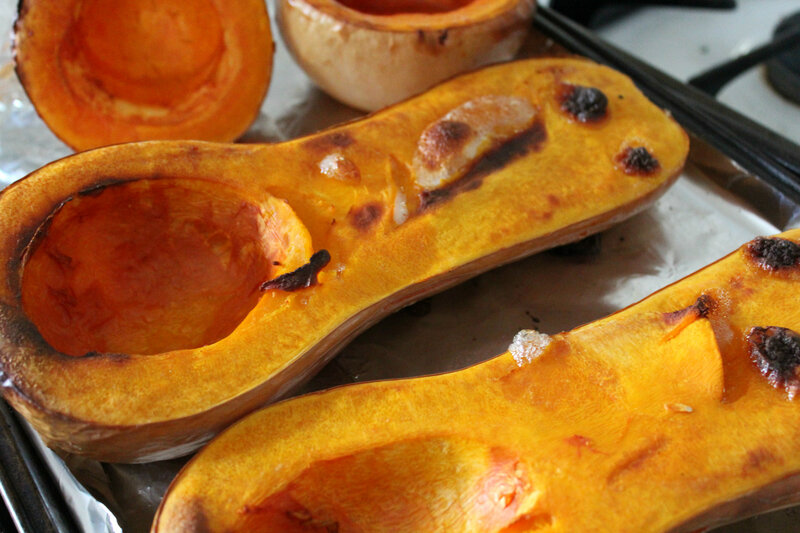 + Cut the butternut squash in half, scoop out the seeds (save them for roasting!) and place face-down on an oiled and foiled baking sheet. Roast for about 1 hour or until the squash is scoop-able. + Next roughly chop the carrots in thirds for even roasting. Cut the onion in to a few pieces as well. Then place them on an oiled and foiled baking pan and bake for about 30 minutes. 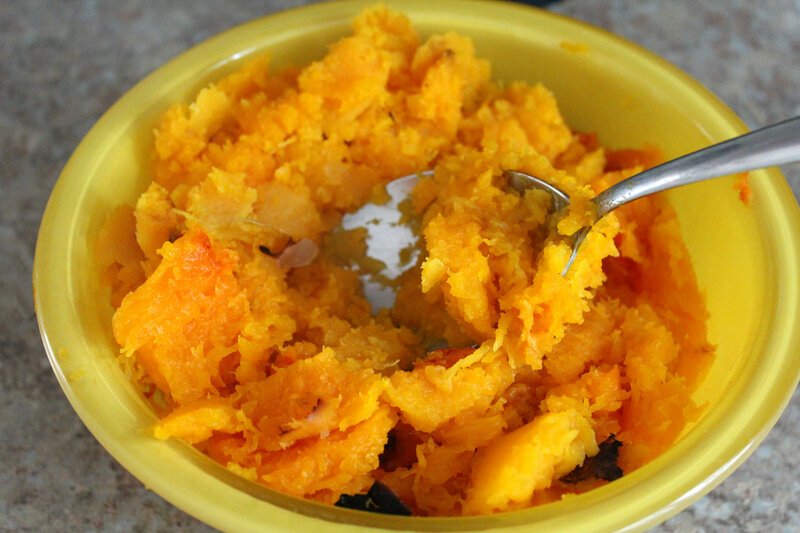 + Once all your veggies are roasted, scoop out the flesh of the butternuts and place in a bowl. 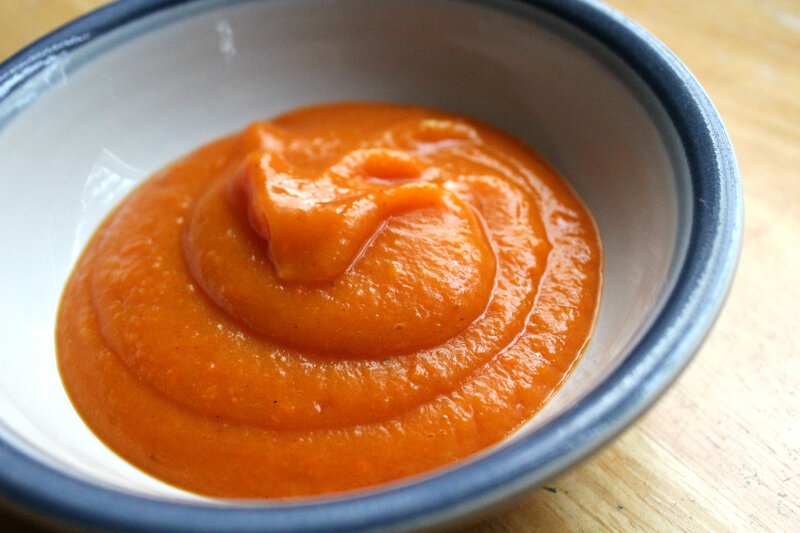 + Then put about 1/2 the butternut mash and half the carrots and onions in a high powdered blender. Add 2 cups of water and all the spices. Blend until smooth. Pour into a large bowl and then repeat with the other half of the mash and veggies and another 2 cups of water (no more spices). Blend again. Then combine that half with the other and give it a good stir. And topped with seeds you say? O, yes! 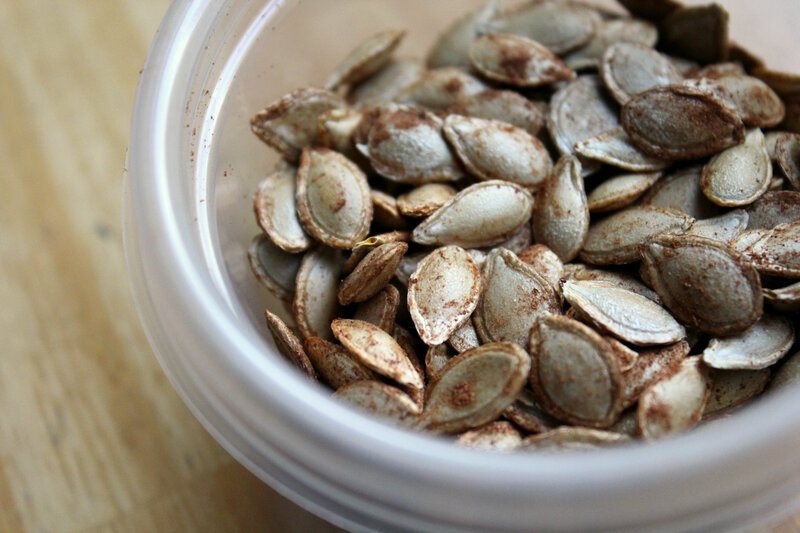 Cinnamon Roasted Butternut Squash Seeds! 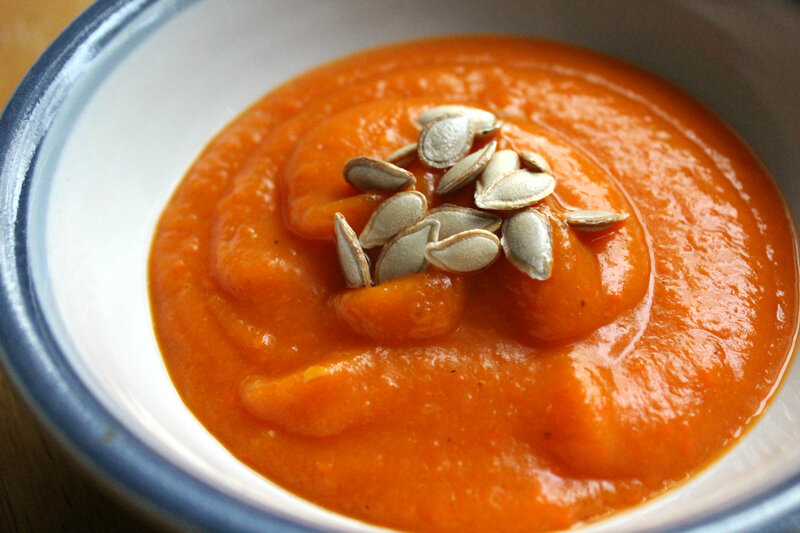 Ever make a squash soup? What is your favorite squash to use? What is one type of recipe you don;t have the resources or equipment to make, but wish you did? Raw dehydrator wraps! Looks delicious! I’m definitely saving this recipe. 🙂 Thanks so much for sharing and linking up with the #SHINEbloghop! Yum! This weekend we are doing Squash recipes at Saturday Dishes linky. This would be perfect! It is really creamy and no milk or cream was needed! Roasting definitely adds another dimension! I think it can be really difficult to make some soups look appetizing, and you have definitely done that here! I don’t even really like butternut squash, but the way you’ve prepared it & how it looks makes me want to try a bite! I love it, and it caught my eye at the Table for Seven “Share your stuff” party–I had to stop by! Aw, that you so much Cathy! It is always hard to capture the true “taste” in a photo but I try my best 🙂 Thanks for stopping by, I will be sure to check out your blog too! That looks yummy, but also. GORGEOUS PHOTOS! Pinned ya! G’day! Looks terrific and I can almost smell it from here! GREAT photos! Thank you so much Joanne! Some of these shots actually came out okay, haha! I think butternut squash is my favorite winter squash. This sounds like a delicious recipe and has such healthy ingredients. Thanks for sharing. Thank you Marla! I used to eat it all the time just roasted but I like it as a soup even better! 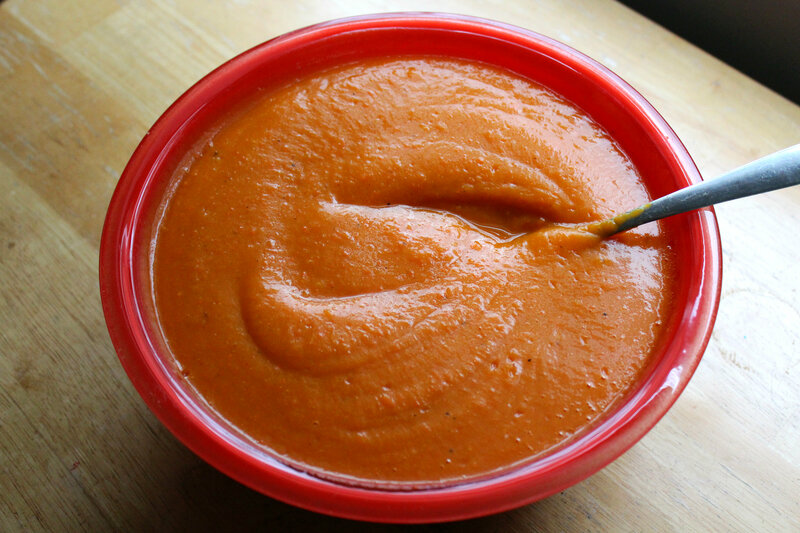 You have crafted a post about the joys of making Smokey Butternut Squash and Carrot Soup that is simply heavenly. Really! And your photographs look good enough to eat! I can’t wait to try this recipe. 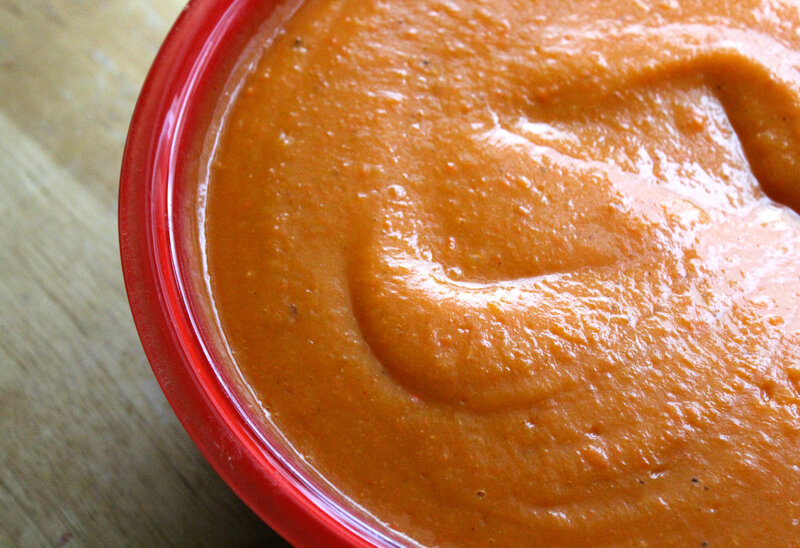 It is perfect for this time of year–or anytime butternut is available. 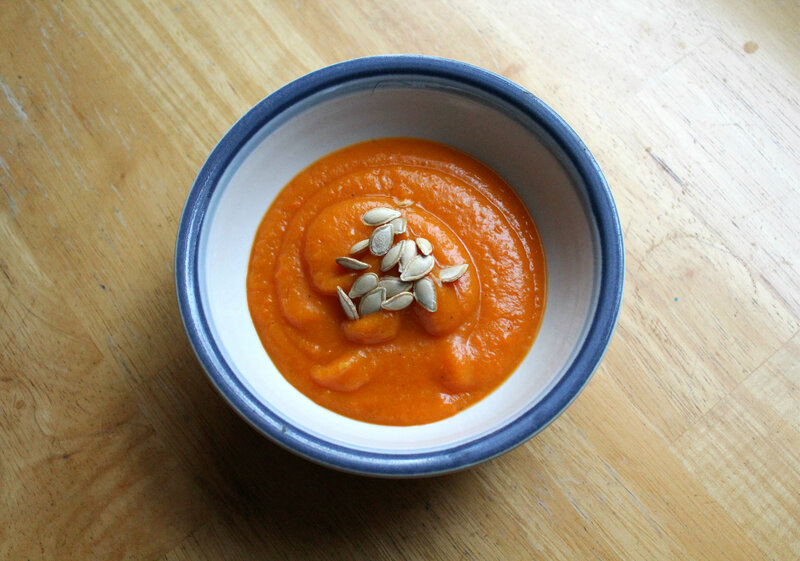 Two of my favourite things in the world are butternut squash soup and roasted pumpkin seeds. I’d never thought to ROAST THEM with CINNAMON before. This looks wonderful! I made a similar soup before I got my Ninja and it turned out so chunky, so I will have to give it another go in my new blender! It came out so smooth and creamy! Having a good blender comes so in handy! Beautiful colour! It looks so velvety and delicious! Thanks Caeli! I am obsessed with the color too. I think it is my favorite feature of the soup, haha! Yuuuuuuuum! And I love that it doesn’t use vegetable stock as it means I can actually make it! 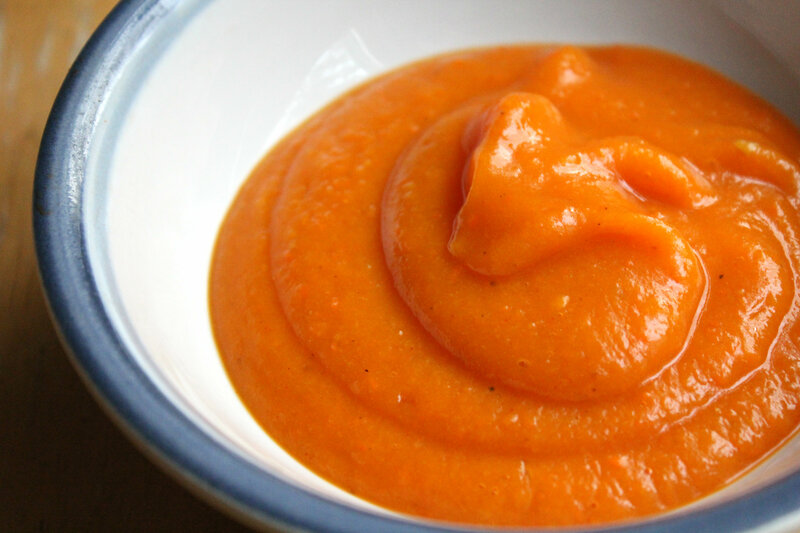 I love butternut pumpkin/squash soup and carrot and ginger soup. mmmm! I love the color! I bet that tastes wonderful! 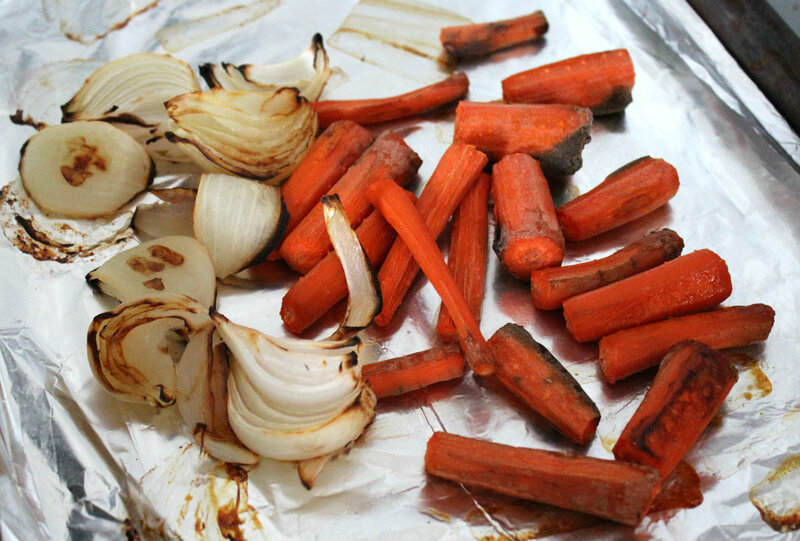 I love roasting veggies before putting them into a soup! This will be perfect warming meal on a cold day! Thanks for sharing! Gosh that looks SO GOOD! Yum! You can’t go wrong with butternut squash. I never thought to roast the seeds but it makes sense. Cool!